Fair trade is a movement that envisions a world where people and the planet matter as much as profits. Our global trade system is built upon a long history of colonialism and exploitation. 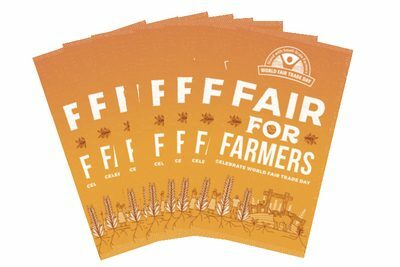 By empowering small-scale farmers and artisans around the globe to support themselves and their communities, fair trade seeks to rewrite those rules. While fair trade may sometimes be distilled down to a single label on a product, the movement is so much more: A vision for an economy based on solidarity. The Products: When you choose fair trade, your purchase supports communities around the globe. Coffee, chocolate, tea, bananas, coconut oil, and more: Today, grocery store shelves carry ever more products bearing a fair trade label. These labels signify that that bag, bar, or jar contains ingredients that meet certain minimum price guarantees, that no forced or child labor was used, that premiums were paid for community development and organic production, and more. Not all certifications are created equal, see our certification resources to break down what each one means. The Producers: Fair trade offers small-scale farmers and artisans a way to combat historic inequities and empower themselves and their families. 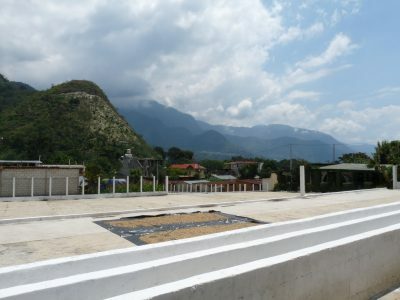 Small-scale farmers and artisans have been organizing to form cooperatives for decades, pooling their resources to process and market everything from coffee and cashews to weavings. Yet these democratically controlled associations are more than just a logistical tool, they administer vital community functions like health clinics, schools, clean water, and more. These producers and their organizations are at the heart of the fair trade movement, empowering their members and helping them grow sustainable livelihoods. The People: People are at the heart of the fair trade movement. Producers around the globe are not the only ones uniting around fair trade principles. Businesses in the Global North and conscious consumers help build a vision for a solidarity economy that puts people, their communities, and the planet at the heart of business and buying decisions. These connections grow a trading relationship from a series of transactions to a movement to transform trade as we know it. To learn which companies are growing this movement beyond a few certified products to build a new, just economy, see our list of Mission-Driven Brands. The Policies: Progressive, people-centered policy is needed to support farmers. Transactions alone will not transform our system of trade. Our global trade system is shaped by policies crafted by governments and corporate lobbyists that put the wishes of big business ahead of the needs of small-scale producers. Unfortunately, some of these companies may label a few products and borrow the language of the movement, “fairwashing” their actions. We believe that each purchase is inherently a political act. That’s why we offer both shopping guides and tools for you to speak your mind to the elected officials and leaders that shape the policies. Together we can build a more just economy for all! What is fair trade? What does a fair trade minimum price mean? 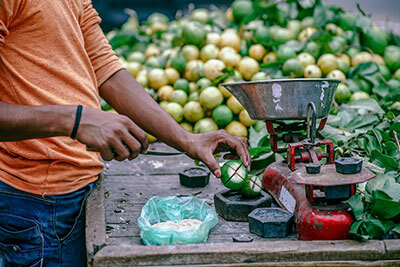 This short fact sheet is a good introduction to fair trade with statistics that may be new even to those who have been in the fair trade movement for years. Our current food system puts corporate profits over the health of people and the planet. But it doesn’t have to be that way! In under 5 minutes, learn how small-scale farmers and the fair trade movement are organizing to build a better future for all. What is fair trade? How do I know which labels to trust? Our pocket guide answers these questions and more. Download and print or share for classes or retail demos and events. So many labels appear on packaging today. But even if they say “fair trade,” they don’t all mean the same thing. We break down the different standards behind the labels you may see. 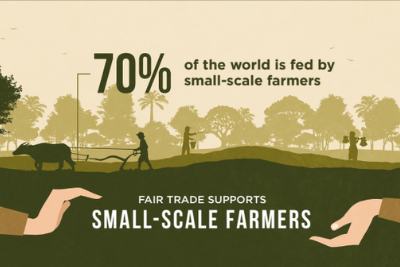 Fair trade has grown from a small solidarity movement. Today, the movement spans nearly every country around the globe and includes small-scale farmers, artisans, mission-driven businesses, activists, ethical retailers, and people everywhere who care about what they buy. Learn about a few key milestones along the way. 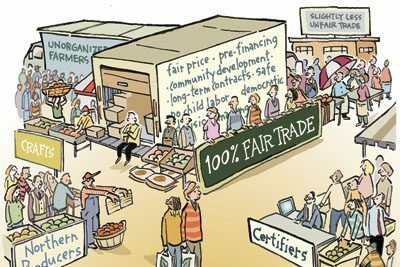 The fair trade movement agrees on 9 basic principles that summarize what it means to trade fairly. These principles are the basis for certification standards, membership criteria, and business best practices across the movement. How do you know if your purchase is making the impact you intend? 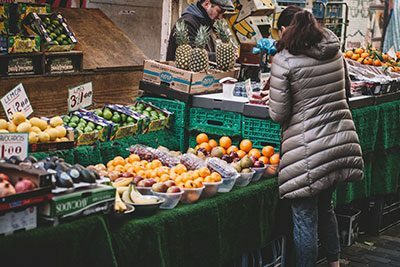 Five tips for choosing fair trade whether you are a shopper looking to choose fairly at the store or a retailer looking to stock your shelves. Your purchase is powerful!